Help us bring 'Revolutionary Acts of Optimism' into the world! Help us bring ‘Revolutionary Acts of Optimism’ to the world! We're making a fantastic new record. And we need your help to finish it! Watch the video above for more info, and click here to learn more. To support without receiving physical items, click here. $2,510 to go to reach Goal 4: Pay It Forward! Goal 1 reached April 15th at 11:53pm! Thank you!! Goal 2 paid for by a mystery donor!! Holy cow!! Goal 3 reached April 19th at 11:39pm! Thank you!! "Revolutionary Acts of Optimism" high-quality MP3 album, automatically emailed to you at 12:01am Pacific Time on June 14th! Signed copy of the "Revolutionary Acts of Optimism" CD. Your choice of official "Revolutionary Acts of Optimism" tee or "Tree Planter" tote! Because we hit Goal 2, all packages $45 and up will also include the "Revolutionary Acts of Optimism Book of Lyrics and Essays!" One "Revolutionary Acts of Optimism" tee of your choice AND one "Tree Planter" tote. We’ll put your name in the “special thanks” section of the "Revolutionary Acts of Optimism" CD liner notes. You'll be immortalized in a work of art forever! Because we hit Goal 3, all packages $100 and up will also include a limited edition vinyl album of "Revolutionary Acts of Optimism" in a specially handmade jacket! A thirty-minute Skype or FaceTime chat with Shannon and Jamie! We can talk about whatever you want and get to know each other a bit, one on two. With coffee. Of course. We’ll give you Executive Producer credit in the CD liner notes! Because, seriously, we couldn't do what we do without you. Thank you. Because we hit Goal 2, all packages $250 and up will also get their names in the credits at the end of the music video we're going to have made! 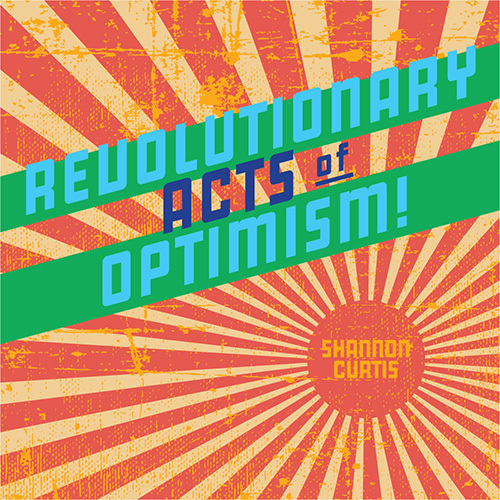 We will mail you the final CDR reference copy of "Revolutionary Acts of Optimism." This will be the exact CD we were listening to when we realized the record was finished. Only one of these will exist ... and it can be yours! Signed by both Shannon and Jamie. This one is so fun. Jamie and I will do an hour-long Skype or FaceTime call with you in the middle of May. And in this video call ..... WE WILL PREVIEW THE ENTIRE NEW RECORD FOR YOU! Personally! Direct out of our music computer and into your ears. Some stuff may not be quite finished ..... some things may be in progress still ..... you will get an exclusive behind-the-scenes snapshot of how the album is coming together. It'll be done enough to sound like an album ..... and it'll be not-quite-done-yet enough for this to be an utterly unique experience. 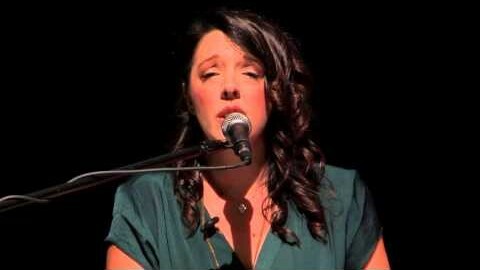 I’ll perform a private concert in your home for you and your friends, either routed into our tour or locally in the Pacific Northwest. The absolute best way to experience live music. Super intimate, super deep. If you already have a concert scheduled with us on this year’s tour, great. Otherwise, we will help choose a good date for your concert from any we may have available in your area in conjunction with our already-routed tour. If you live outside of the Pacific Northwest and are interested in having a concert this summer, please contact me right away to talk over scheduling availability! We’ll put on a private concert in your honor for a group for whom a concert would be otherwise unavailable — like, for instance, a group home, or a mental wellness facility, or a women’s shelter. We did two of these last year and they were magical, uplifting experiences. If you have in mind a specific group located in the Pacific Northwest, we’d be happy to hear your suggestion; or we can seek out a group on your behalf. What a wonderful gift. We’ll record an acoustic version of a song of your choosing, just for you. If you've ever wanted to hear me sing your favorite song, this is your chance! I’ll write and record an acoustic personal song just for you, on a topic of your choosing. Also known as ‘The best gift of all time.’ Anniversary gift? Birthday surprise? Celebrating something in your own life? This can be whatever you want it to be! 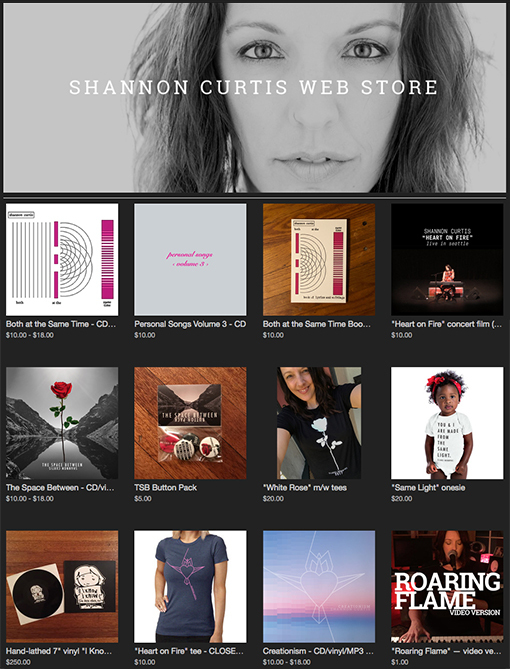 For more info and audio examples of acoustic personal songs, click here. 1) Songwriter intensive: on day 1, you'll work with Shannon to get one of your songs into peak shape. On day 2, you'll work with Jamie to make an acoustic recording in our studio. You'll end up with an amazing recording of you performing your song! 2) Guest artist session: you come and sing and/or play on a cover song recording we make with you in our studio. You pick the song! 3) Entourage retreat: Jamie & I will make a recording of your favorite cover song while you’re hanging out in the studio with us. Big emphasis here on hanging out and having fun! And we'll maybe DEFINITELY take you out for ice cream and other fun food adventures. If you basically just want to hang out with us for a couple days, this one is for you. * This fundraiser package is basically us allowing you to invite yourself into our home as a guest. By choosing this option, you are expressly agreeing to be an exemplary houseguest! You are responsible for getting yourself from wherever you live to our house in Tacoma, Washington. If you buy this for a kid, one parent can come too! This is basically personal songs on steroids: I will write and record a 5-song acoustic mini-album (also known as an EP) of personal songs for you, about your life or your family. Who can say that they have a musical family album? You can, that’s who. LIMITED ITEM: only two of this item available. If you have any questions we can answer, feel free to contact me before getting this one! THANK YOU! We couldn’t do any of this without you. GOAL 1: The minimum amount we need to raise is $5,000. This will help support us while we finish making the album, and will pay for the final product to be pressed on CD. Goal 1 reached April 15th at 11:53pm! Thank you!! GOAL 2: If we raise $8,000, we will make not one but TWO excellent things for you. First, we will publish the "The Revolutionary Acts of Optimism Book of Lyrics and Essays." Bound in a beautiful little book, this will be all of Shannon’s lyrics from and thoughts about the songs on the new album, perfect for your coffee table or bedside table or to snuggle up with on the sofa while you listen to the record. Everyone who contributes $45 or more to the fundraiser will get a copy if we reach this goal. But there's more! If we reach this goal, we are also going to hire a talented young student filmmaker named Bruce Bradbury to make us a short film for one of the songs on the new record. Bruce is currently studying film production at Portland State University. Shannon and I met him last summer while on tour, and were blown away by his work – and there's no better way to encourage a young artist you believe in than to hire them. Contributors at $250 and above will get their names in the credits at the end of the video if we reach this goal! Goal 2 so inspired one of our supporters that they paid for it, in its entirety, when we reached Goal 1! Wow! GOAL 3: If we can raise $12,000, we’re going to press "Revolutionary Acts of Optimism" as a limited-edition vinyl album, mastered at the world-famous Capitol Records, with hand-decorated jackets! OH YES. If we reach this goal, we’ll mail a copy of this special vinyl record to everyone who’s contributed $100 or more during the fundraiser. Goal 3 reached April 19th at 11:39pm! Thank you!! GOAL 4: If we raise our top goal of $15,000, we’re going to do something new that we haven't done before, which we're calling "The Pay It Forward Goal." 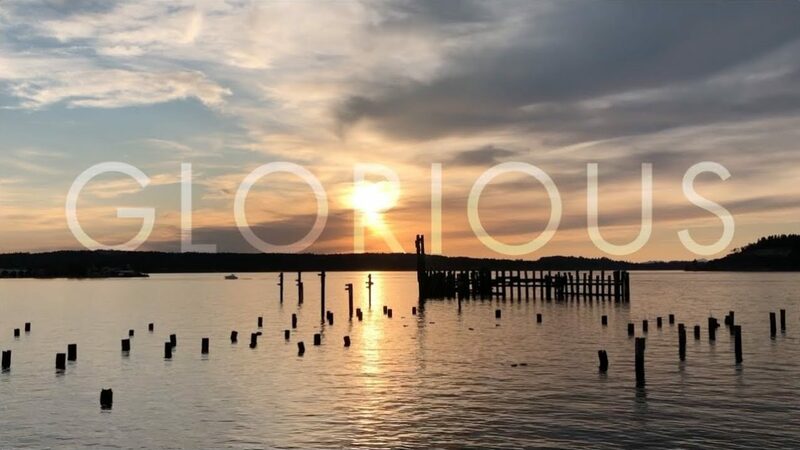 We're going to identify a talented young musical artist from Tacoma, someone who's just getting started ... and we're going to invite them into our home, and invest our time and talents into helping them make a record, that we hope will help them kickstart their artistic career. We're also going to pay for their first 100 CDs to sell at shows, and work with them to design and handmake the CD packages. We don't know yet who this is going to be! We'll figure it out if you help us fund this very lofty and ambitious goal.